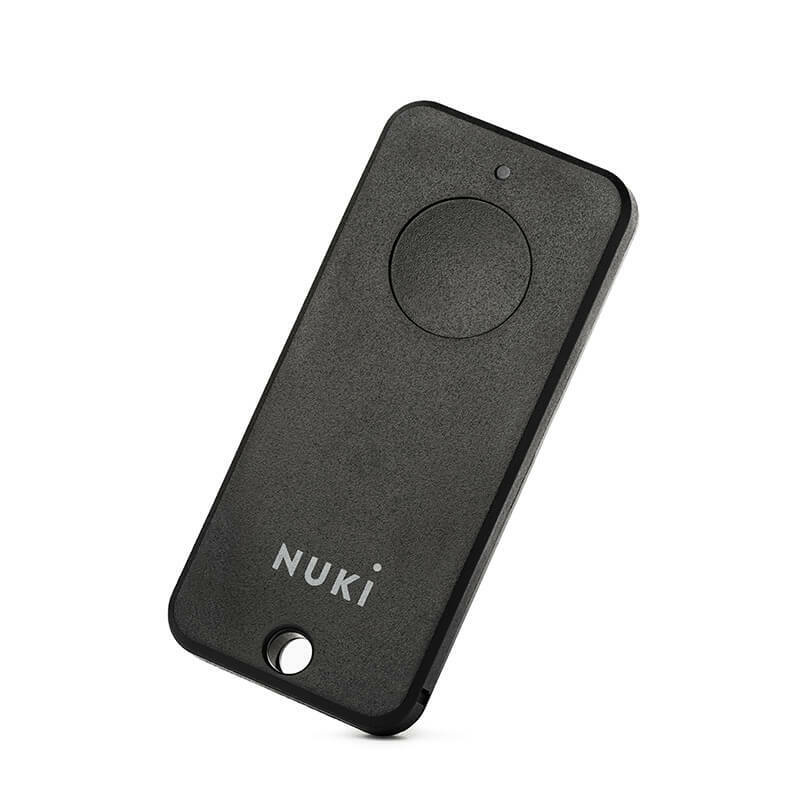 The Nuki Fob is a tiny bluetooth keychain fob that lets you open and lock your door even without a smartphone. Thus, it is designed for kids and people who sometimes leave the house without their smartphone or who do not have a smartphone. 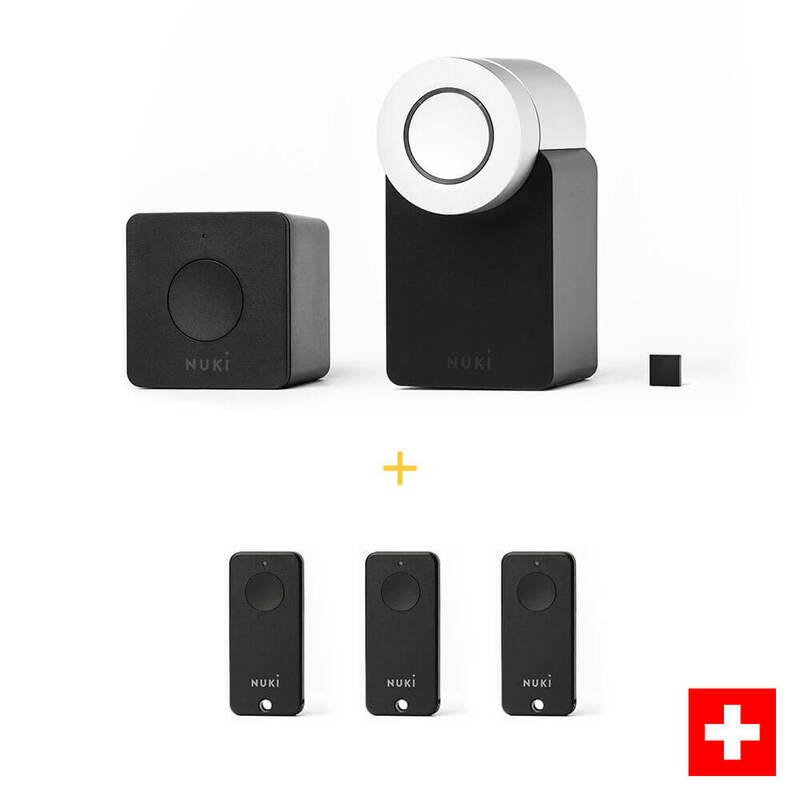 Position yourself with the Nuki Fob near the Smart Lock which has to be authorised (max. 5m distance). Hold down the button on the Smart Lock for 5 seconds to start the pairing mode. The Smart Lock is in pairing mode when the LED ring is permanently glowing. Hold down the button on the Fob for 5 seconds to start the pairing mode. The Fob is in pairing mode when the light is permanently glowing. If the LED lights are off again, the pairing process is completed. 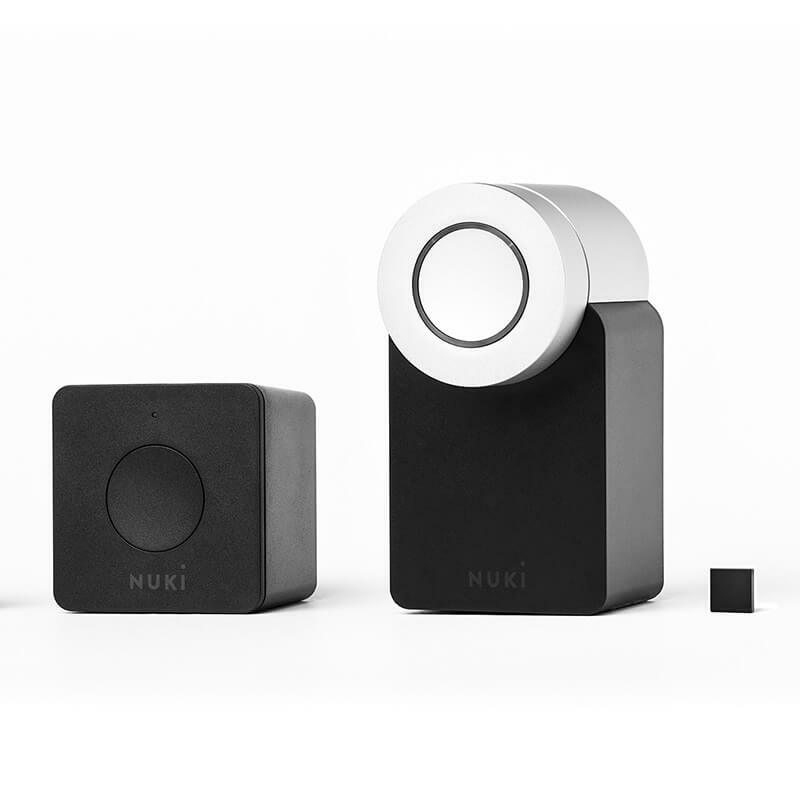 The Nuki Fob is now authorised to lock your Nuki Smart Lock.